So the PCNC resumes this weekend with game three of round two kicking off proceedings after almost a month long furlough for the festive season. The good living will have had its toll and no doubt some fairly podgy players will return to the Rita Flynn Courts to try to pick up where they left off in December. It will be an interesting to see how well they fare as the Christmas spirit will more than likely be sticking noticeably to the obvious places. Seventy Nine teams isn’t a bad effort. In fact all things considered, the PCNC still is the biggest single sporting competition in the country so a fair amount of effort does go into getting such a massive comp moving every Sunday for about thirteen to fifteen weeks each year over about five months. The last games played in December had some interesting outcomes as well as some real surprises and with only three more games competition games to be played before the finals series commence the ladies will have to turn up to play if they intend to be in running for the finals. Each of the fourteen divisions have been quite evenly contested this season and so it is only in a handful of divisions that the finalists can clearly be defined. The Premier division for one will be hotly contested with perhaps Datec the only surprise straggler after failing to defend the premiership last season. Margaret Embahe’s charges have had a hard time this season with staff movements in and out of the Datec business resulting in an attrition of core talent from the team and player combinations. This reinvention of themselves hasn’t really endeared itself on the teams and there has been some indicative absences and forfeits. Datec still remains a force to be reckoned with on paper and will need perhaps a solid season next year to return to the superstar circle again. There are three bank teams in the top flight, Westpac on their return to the big league, BSP last season’s champions and Kina Bank after a short sebatical in division 1 find themselves marked as real contenders for the big one. They have been both unlucky and fortunate with their travel this season and were good enough to hold BSP out in their last encounter before the season broke for Christmas. As a result they are looking quite good while BSP is a little perplexed with what could be interpreted as some tough umpiring during that game. The attached images are just some images from that last game in 2016. Westpac in a decent close for 2016 dispensed with Fairdeal Liquors who were up until that game the giant killers of the comp and running fairly close to the ceiling in the division. The next three games are critical to all of the comp and we are looking forward to some excellent netball again. Let’s hope the ladies have been training and not too much of the festive spirit is still in the digestive system. 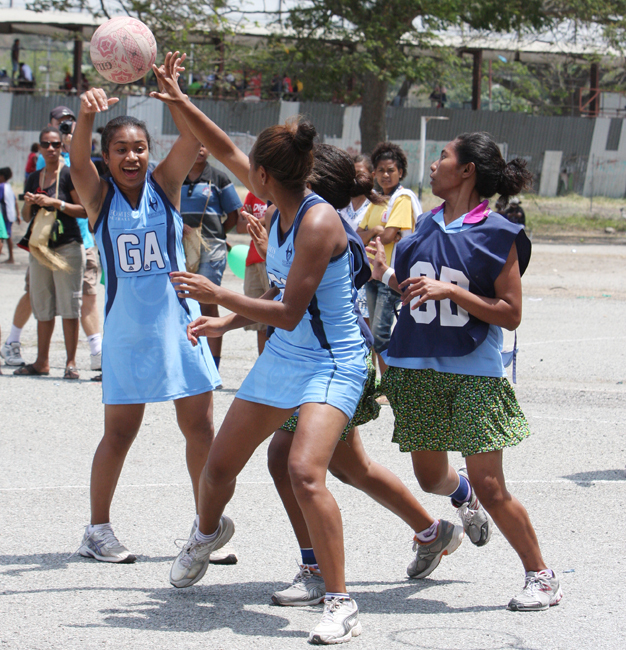 Netball PNG has confirmed that Alotau will host the 2015 National Championships. 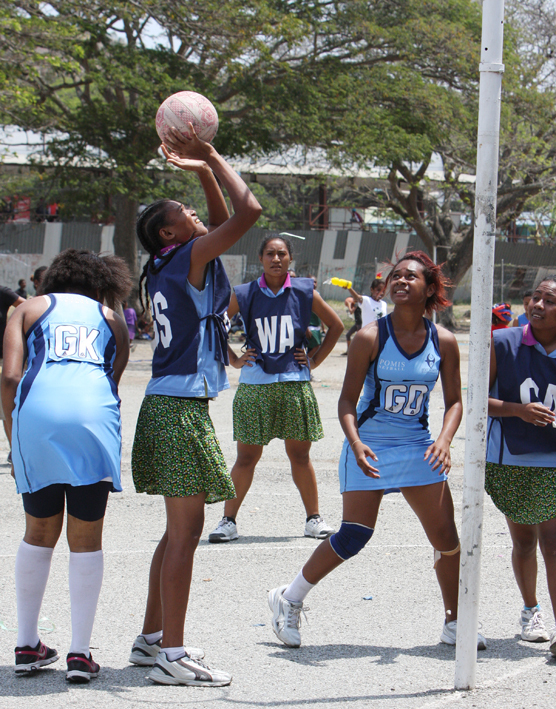 The eastern most tip of the southern conference of netball in PNG is expecting an influx of the netball fraternity to converge on the picturesque township during September this year and is preparing itself and its facilities for the fanfare. Alotau has hosted fairly successful national tournaments in the past but this year will be a lot more technical with the quality of the game having had a real jolt and the demands of international competition the likes of the Pacific Games and so on, having direcly an impact on how the game is now played. 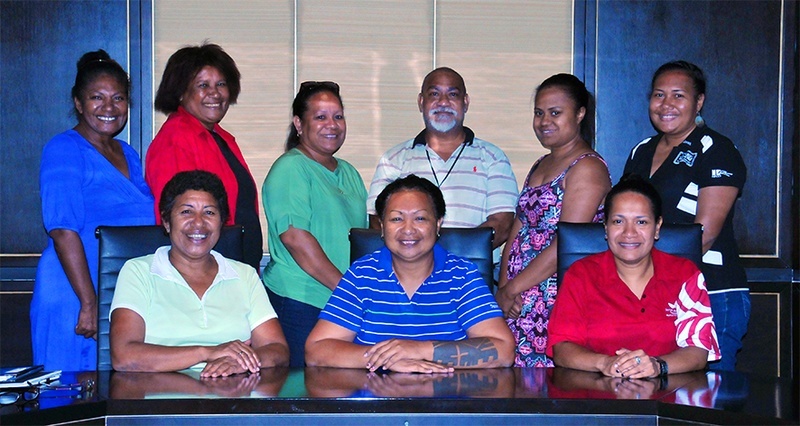 The Pacific Games itself has been a real distraction to the organisation and build up for Championship tournament and dates have still not been set just two months out from the event. 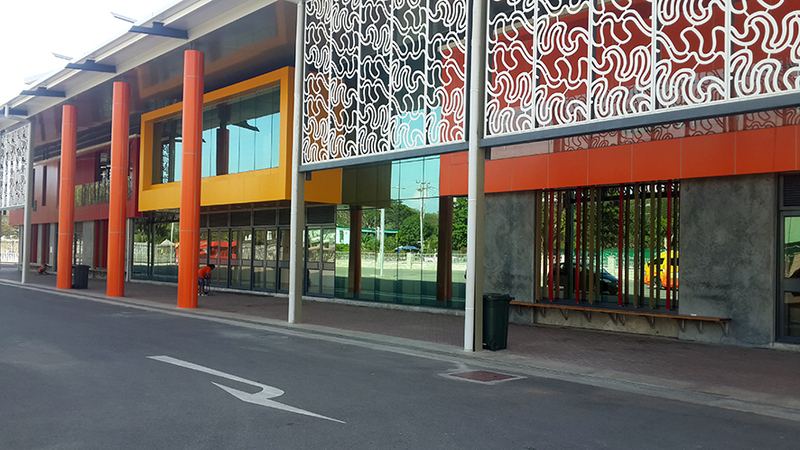 Organisers when contacted were upbeat about the whole thing commenting that the ANA woudl be ready for the event. Typically Papua New Guinean about it all numbers and attendees still have not been confirmed even now. Alotau have faily lucky at selections as well with the two selected from the Championships in Madang in 2012 going on to acutally represent PNG with the Pepe's in the PNS and other tournaments. 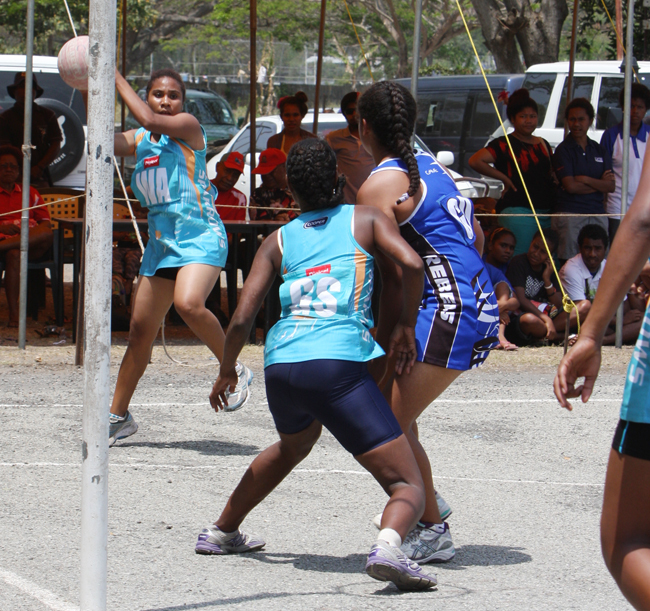 It is a reflection of how the Association has been run in Milne Bay and the talent pool that despite it being one of the lesser considered Associations in the country. Netball is clearly the most played female sport in that province even ahead of soccer. 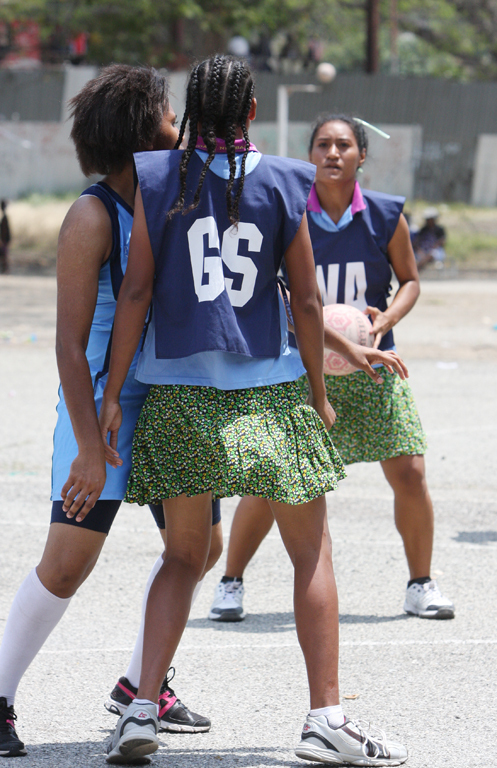 An annoucnement is expected soo from Netball PNG soon with repect to details of this years Championships. Digicel will again most likely be the main sponsor for 2015. 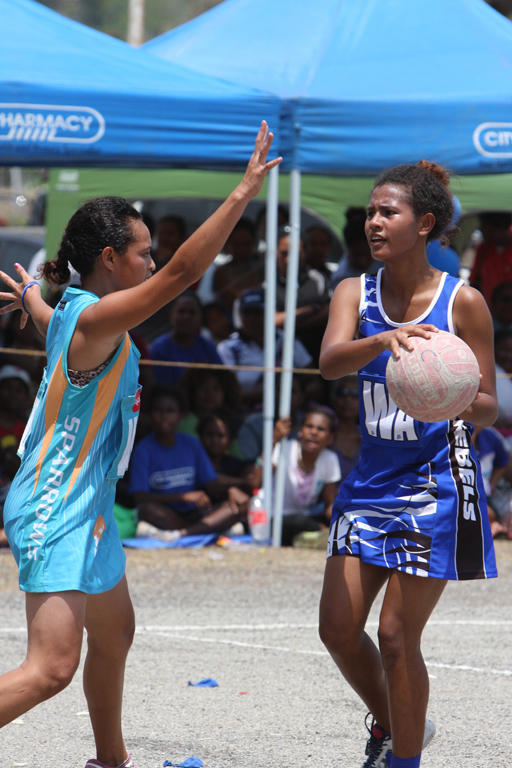 Samoa held on against the tenatious Cook Islands Black Pearls to claim Bronze at the Power Dome on Saturday morning. The Samoans managing a modest 54 - 49 scoreline which reflects better than how they really faired as the Cook Islanders took every ounce of sweat from their Polynesian cousins, relenqishing the win only in the last two minutes or so of the game. The lead changed hands several times as the two maintained a neck to neck game all the way to the finish. At one stage it seemed the Cook Islands had found the Samoans measure and would wear them down but the ladies in Blue dug deep to keep composed, slowing the game at critical junctures and returning to the basics that resulted in points. It was only just before full timet that they powering home. . The Samoans held onto a very slim lead in both the first quarter and half time but went into the final down on points and looking at a very pumped up Cook Island side intent on upseting the apple cart. They managed to take the lead back after a turnover early in the final stanza and had the presence of mind to keep the Cook Islanders at bay, holding on to that lead despite the frantic efforts of the Green machine to overrun them. A turn over in the last minute of the game allowed Samoa ad safety net and the smallest of marjins and victory. An entertaining game to the finish. The Pepes missed out on taking home Gold on Saturday afternoon as Fiji turned in their A game in the medal final to blast away our Pepe's showing exactly why they are ranked 7th in the world. In front of a perochial PNG home crowd, they imposed their will on an awestruck Pepe's outfit never really moving out of third gear and using all their avaialble players to upset PNG in their quest for Gold at these games. The Pepe's opened the game very much abreast of their arch rivals and even traded nets in the early part of the game. They only trailed the Pearls by a few nets at the first exchange much to the delight of the home crowd and the anticipation then was that it could be a tight finish but then the Fijians decided in the second and third quarters to drive home a message and for a short stint of perhaps 10 minutes the Fijians just went to town opening up a 10, then 15 and for a short while an 18 net advantage over PNG and from then on it was never likely for teh Pepe's to claw back the deficit. PNG's percentage was high given the amount of ball and pressure Tiata Baldwin and captain Lua Rikis were under, and when they had the ball they were doing things, but the agility and continued high gear the Fijians played at simply overwhelmed the Pepe's today. Fiji were deserved winners of the gold as PNG had to settle for Silver. The PNG Pepe's impressed on Wednesday evening when they held on to win a tight contest against Samoa in their pool match in front of a very parochial home crowd. In the audience this eveing was the PNG Prime Minister, Hon Peter O'Neil and Mrs O'Neill, PNG's Sports Minister, Hon justine Tachenko and the Minister for National Planning and Monitoring, Hon Charles Abel. The trio were seated court side and enjoyed a very focused performance by the national side. Samoa have always been a nemesis for PNG, and the best of competitive rivals but Wednesday night belonged to PNG, as captain couragous, Lua Rikis led her charges with absolute resolve to provide fans a wonderful display of fast and furious netball. The Pepe's had to claw back a 6 net deficit in the first quarter to lead at the break 30 - 28 and held onto the lead for both the 3rd quarter and full time in what was a nailbiting encounter. 3rd Qtr, 46-43 4th Qtr, 62-54. It was a valiant effort and by no means a walk through the park as the Samoans worked as hard as they could to counter and overhaul this narrowest of margins and a relieved Lua Rikis had nothing but priaise at how the Pepe's held fast against a fast finishing flash of Blue much to the glee of a obvliously PNG home crowd. PNG play Fiji on Friday. The PSNA held their major semi finals on Saturday paving the way for an excellent contest next Saturday at the Rita Flynn Courts. Two turnovers and a poor shot for goal by Gillian Ole in the dying minutes was all that Works needed to capture a 2 net advantage and the right to meet MedCom (formerly NBC) in next weeks Premier Division Grand Final. Both teams put everything into this one with Works' mother and daughter combination of Ati and Kimberly Rawali in attack working magic for them. Lama Lua playing a shooting role was effective near the hoop as well. NFA's young mid court proved excellent in driving their attack and though they lacked a bit of punch in the first half, they certainly made up for it in the 2nd half, running their older opponents off their feet but as always the experience of the honey bees shone through. The final score a very complimentary 27 - 25.
in other divisions, PNG Olympic Committee expressed their bid for the 2014 Division 1 premiership, beating a strong Trade Commerce and industry team on court 3 and will take on sister organisation PNG Sports Foundation in the big game next week. Again it was the exuberance of the TCI's young attack that questioned the Olympic Committees resolve, but the Olympic Committee's ability to slow the pace of the game to their liking proved tactful, never releasing their hold on the lead until full time. The final score 22 - 15. The Bank of Papua New Guinea impressed this year by walking through both their teams to their respective grand finals. Both have already qualified in Divisions 2 and 5 and now wait on Department of Lands in Division 3 and Department of Transport in Division 5. Lands tussled with the Auditor Generals Office (25 - 19) in an entertaining game, much closer than the score suggests and Transport put paid to a very enthusiastic Department of Justice in a very close game (12 - 10) to advance to the Grand Finals next week. In Division 3, the Department of Lands managed to edge out a strong DJAG outfit 25 -19 in an entertaining display of netball while the ladies at PNG Ports just didn't seem to be quite there for the Division 4 game on court 2, throwing their game away to a very clinical NJSS side who admittedly had some big netball names in the side and managing only 1 net for the entire game. Their opponents NJSS piled on 38 unanswered nets to run away 39 - 1 and certainly have thrown out a challenge to incumbants, NFA that next weeks game is not going to be a walk in the park. The PSNA grand finals next weekend promise to be an excellent outing for the family and indeed all netball enthusiasts. There is likely to be some real razzle dazzle and the hype has already started for the Premier Division. So now the real question that is on everyones lips. Who is going to be the 2014 PSNA divisions champions..... The only way to know is to be there mid morning next Saturday. The tents will be there, the snacks and barbeques will be there and indeed the atmosphere will be there as twelve teams battle to take home this years pennants. POMNA's U21 division was quite heavy in 2013 making it necessary to spli the competition into two pools. Cutting through the maze and standing tall last week were four very able teams two well establised clubs and two new. 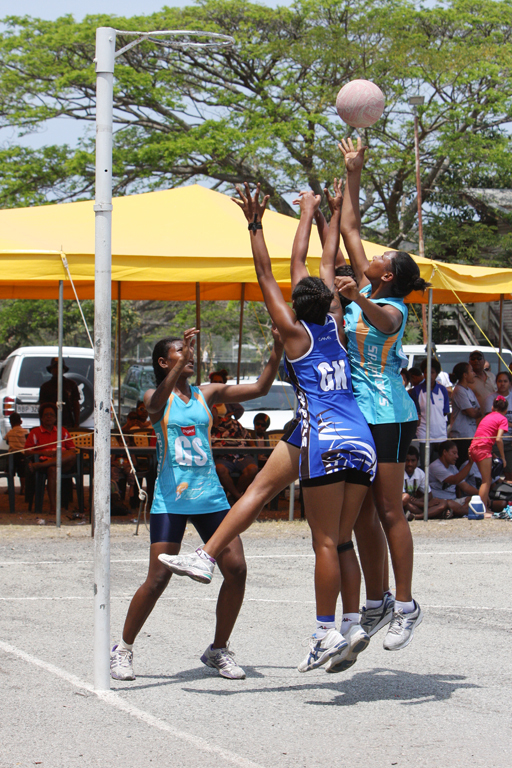 The U21A grand final was poised between two blue laden teams the Digicel Sparrows and City Pharmacy Rebel. The U21B Grand Final was fought out by newcomers Kempa and POMIS. The Sparrows/Rebels game was as expected with the very netballing families, strongly rooted in POMNA netball. The pace though moderate and very cordial in the beginning showed out toward the end the fighting spirit desperation can instill. The Sparrows were on song from the start, sharp in both shooting and defence frustrating a less ready Rebels unit into unfamiliar mistakes and turnovers and before they knew what was going on a tangible deficit was yawning into a challenging gap that the City Pharmacy ladies had to chase for the entire game. The second half certainly played out better for the Rebels but the foundaton had been set early by the Sparrows and in the end comfortably took the game. The Sparrows have always been a strong contender at the U21 level but the transition to the top level has been somewhat of an elusive pathway for the club. They stil remain one of the strongest challengers in the Open divisions as well. The other U21B grand final matchup between newcomers to the competion, Kempa in the green skirts and the skyblue POMIS team. The players purcolate through the other more established clubs but showed why they are in the grand final for that pool. POMIS was uncharacteristically slow out of the blocks and was clearly uncomfortable chasing a deficit. Turnovers partucularly which were not a feature of their game thoughout the season suddenly plagued the scholastic team to the glee of the Kempa team. They took full advantage of the stagefright their opponents were experiencing and made sure they enjoyed themselves in the process. POMIS are not a team to simply roll over and gave it their best shot in the second half but the margin was just too difficult to reel in. Well done to all four teams and congratulations to the Sparrows and Kempa.